Tottenham will be looking to continue their good form with another positive result against West Ham this afternoon. Mauricio Pochettino has decided not to risk Christian Eriksen from the start as the Danish international is named on the bench after recovering from an abdominal injury while Mousa Dembele is also on the bench after overcoming a thigh problem. 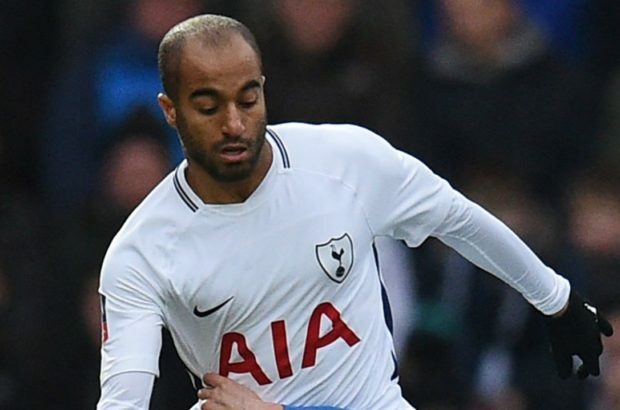 Harry Winks lines-up alongside Eric Dier in midfield while Moussa Sissoko gets the nod with Hueng-min Son named among the substitutes after arriving back late from international duty. Harry Kane once again leads the line up front with Lucas Moura and Erik Lamela for support. Marko Arnautovic is passed fit to start for West Ham while Robert Snodgrass joins Felipe Anderson and Andriy Yarmolenko in attack. Lloris, Trippier, Alderweireld, Sanchez, Davies, Dier, Winks, Sissoko, Lamela, Lucas, Kane.